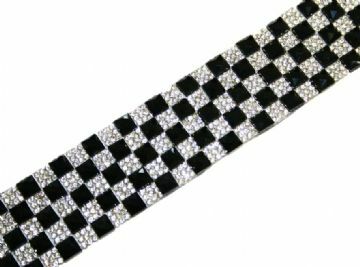 Get 1 of of Sparkling Diamante Ribbon Bracelet Kit, you will be able to make 5 bracelets out of it. The time for making each Sparkling Diamante Ribbon Bracelet Kit is only about 5 mins. The ribbon range, we have 11 colours for you to choose from, and the diamante sheet, we have 5 different colours.